Detailed surveys, convincing concepts, confident implementation – this is how kumkeo develops hardware and software. The system design is at the heart of our work. We build on this to cover all process phases: from analysis, specifications, draft concepts and coding to integration and implementation. 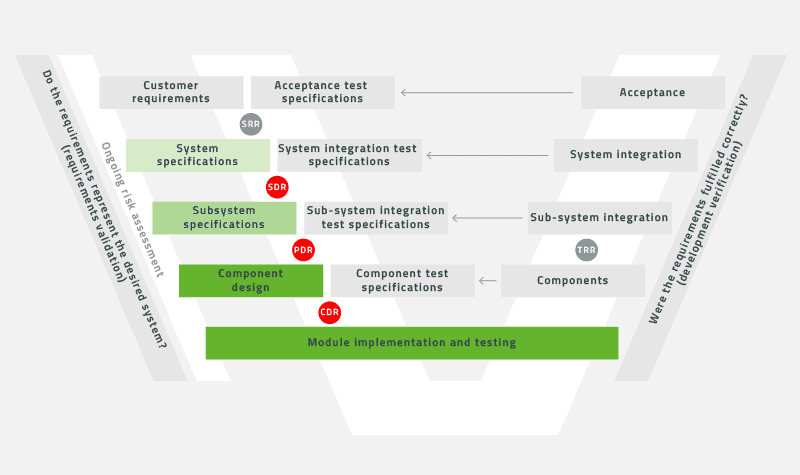 Our work is test-driven, and our detailed documentation accounts for every step in development.